Unlike sugar, sugarcane juice is healthy. It is claimed to be beneficial for the health of your kidneys and your liver, is a good antioxidant, relieves constipation and treats stomach burns caused due to acidity. Above all, sugarcane juice has an irresistible taste – you certainly can’t stop with one portion. 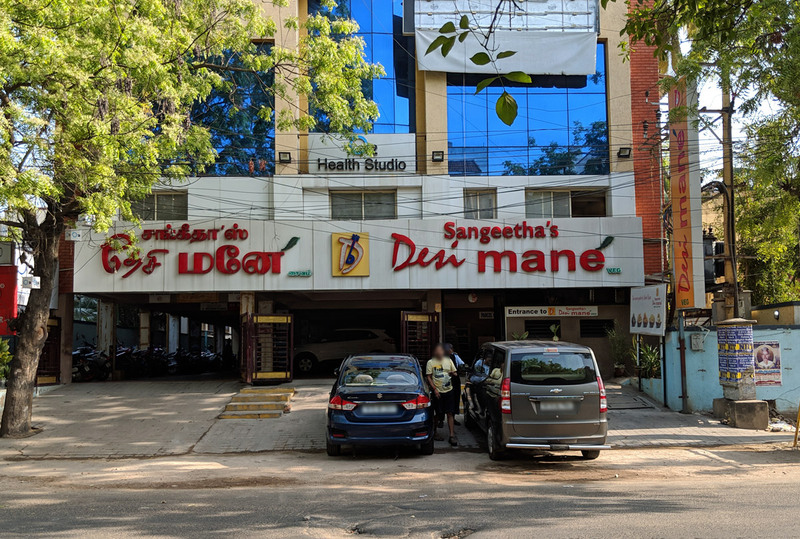 Growing up in T.Nagar Ranganathan Street, the shopping district of Chennai, I loved the Sugarcane juices that were sold in the corner shops on either side of the street as you enter from Usman road. 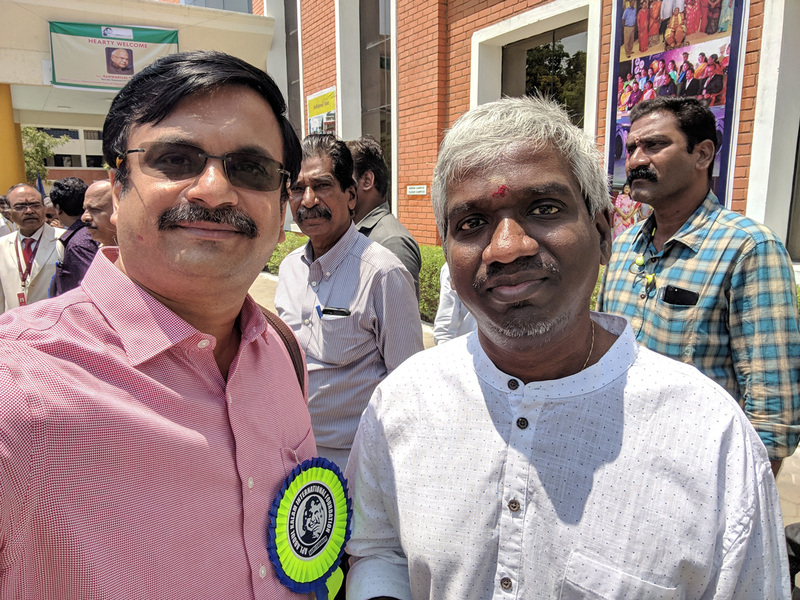 Over the years, concerned about the poor cleanliness of the pulverisers used, I stopped drinking Sugarcane juice from roadside vendors or at the Chennai trade fair for the same reason. Two years back, I found a platform shop in Dr Natesan Salai, Ashok Nagar (Opposite to Police Training Ground/Kendriya Vidyalaya school) selling sugarcane juice that was being prepared fresh and with clean equipment. For some reason, the shop keeps disappearing and appearing again – so as you walk to the shop, you are not sure of your treat. 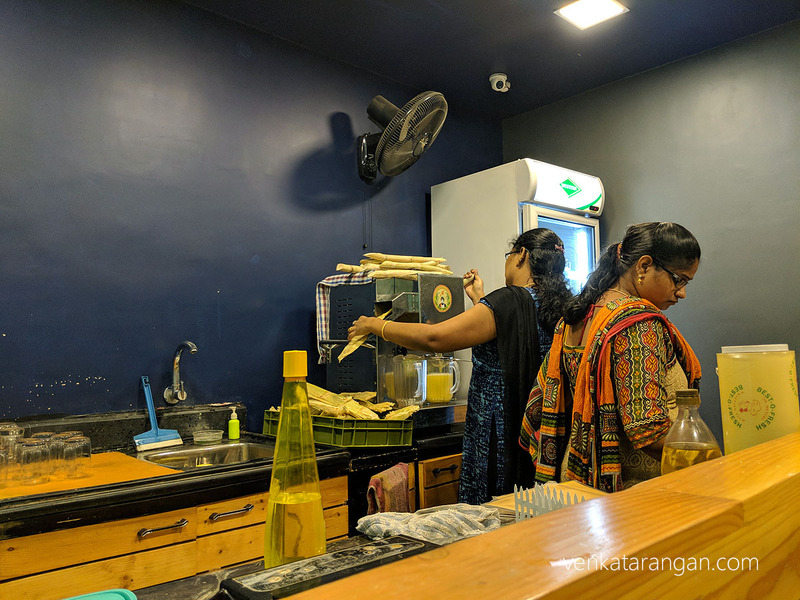 Recently, I found a proper juice shop in Ashok Nagar that is selling fresh sugarcane juice prepared in the most hygienic fashion. 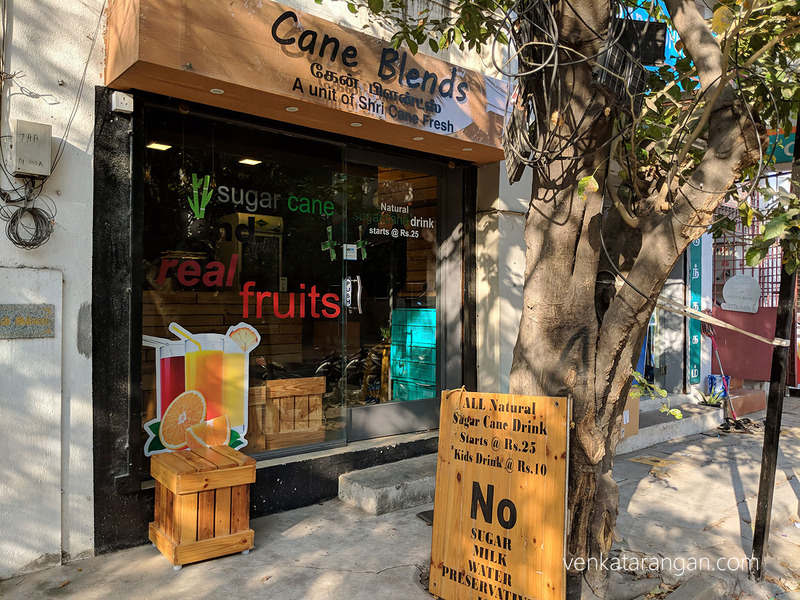 It is called Cane Blends and is in 12th Avenue, Ashok Nagar (In between 67th Street and 5E Park). They sell a variety of sugarcane juice blends – my favourite is the one with Ginger and Lemon, yummy!. A regular cup cost ₹25 and the large one (shown below) cost ₹40, worth every penny. 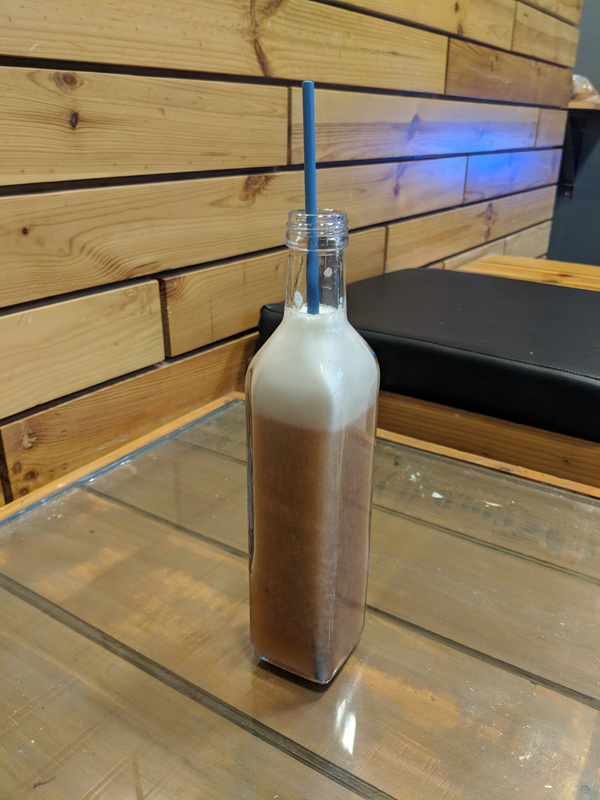 You can even take a to-go in a bottle. 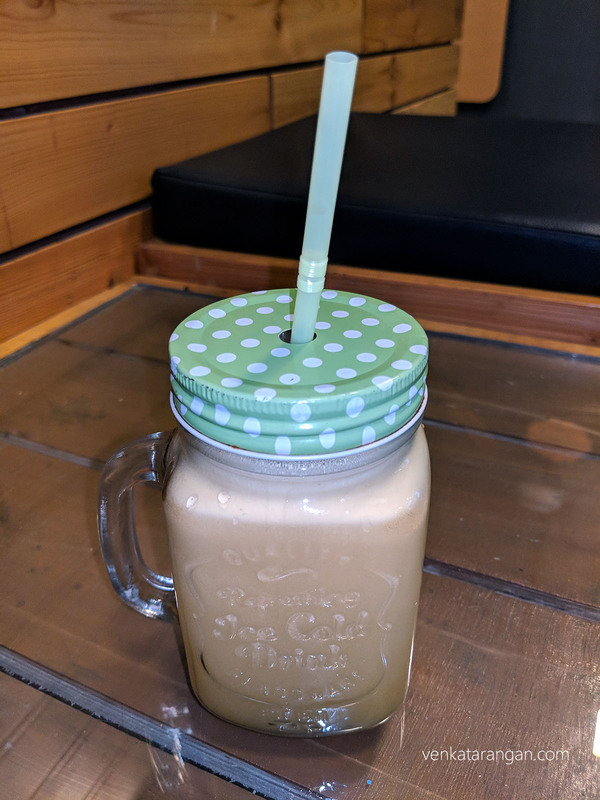 Next time, you are in the area, go for a walk in the well-maintained 5E (65th Street) park and give yourself a treat with a cup of sugarcane juice at this shop.